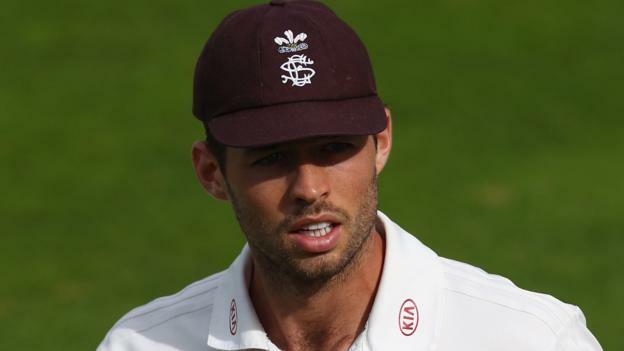 Surrey wicketkeeper Ben Foakes has been called up to England’s Test squad on the tour of Sri Lanka as cover for the injured Jonny Bairstow. Bairstow, 29, has ankle ligament damage sustained playing football in training and will miss Saturday’s Twenty20 match with Sri Lanka. It is not yet clear if he will return for the first of three Test matches, starting on 6 November. Foakes, 25, is scheduled to arrive in Colombo this weekend. He was named in England’s Test squad for the 2017-18 Ashes series, though he did not end up playing. England brought in Alex Hales to replace Yorkshire’s Bairstow for last Saturday’s ODI win over Sri Lanka, giving them a series-winning 3-0 lead. Following Bairstow’s injury, former England captain Michael Vaughan said football brought an “increase” to “risk” in training and added he would not allow it in training during a World Cup year. England regularly play a short game of football in training and pre-match warm-ups, and the players have been awarding each other fantasy football values on this tour.